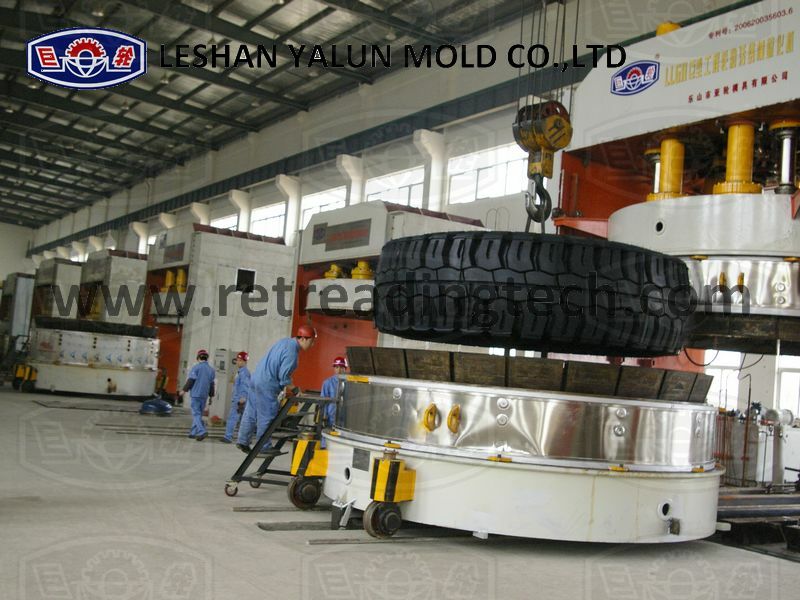 Giant OTR Tire Curing Press LLGH-series are used to cure redial giant OTR tires. It works in combination with Bladder Loader, which is used to load and unload the bladder outside. 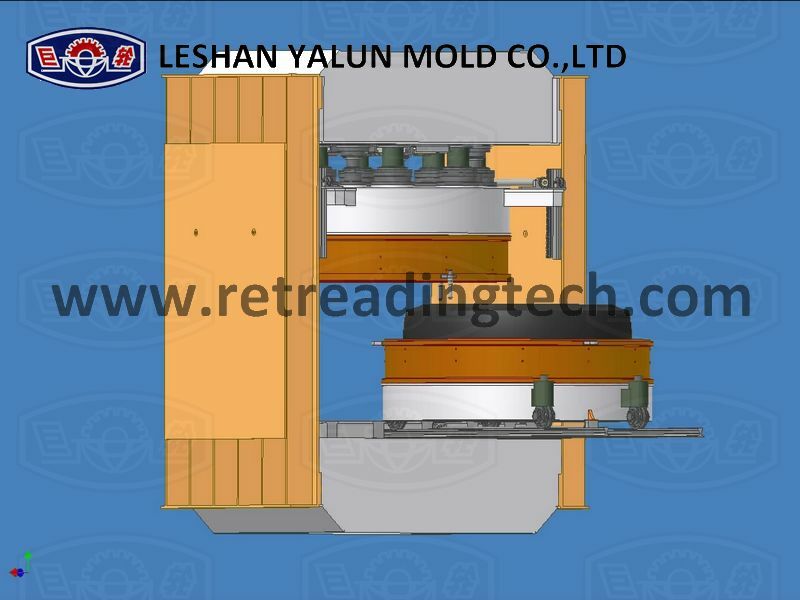 According to different structure, the LLGH-series classify into two-half segment molds and integrated segment molds. This machine is designed with rigid frame (consists of the upper & lower beams and left & right wallboards) to bear huge tension force during curing and install other components. This design improves the safety of use significantly. 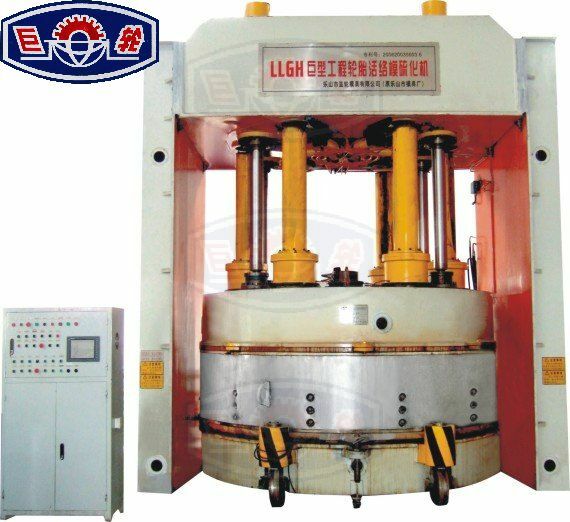 The locking system of LLGH-series consists of pillars and adjusting wedges, which can generate enough locking preload to meet the inner pressure need during curing. The length of pillars can be adjusted for applying different width of tire. The upper heating plate is hung below the upper beam by four piston robs for opening and closing mold. And there are 6 or 8 pillars on the upper heating plate, which locate on the hydraulic blocks. And there are relevant holes on the top of pillars, where can insert the wedge for sealing. 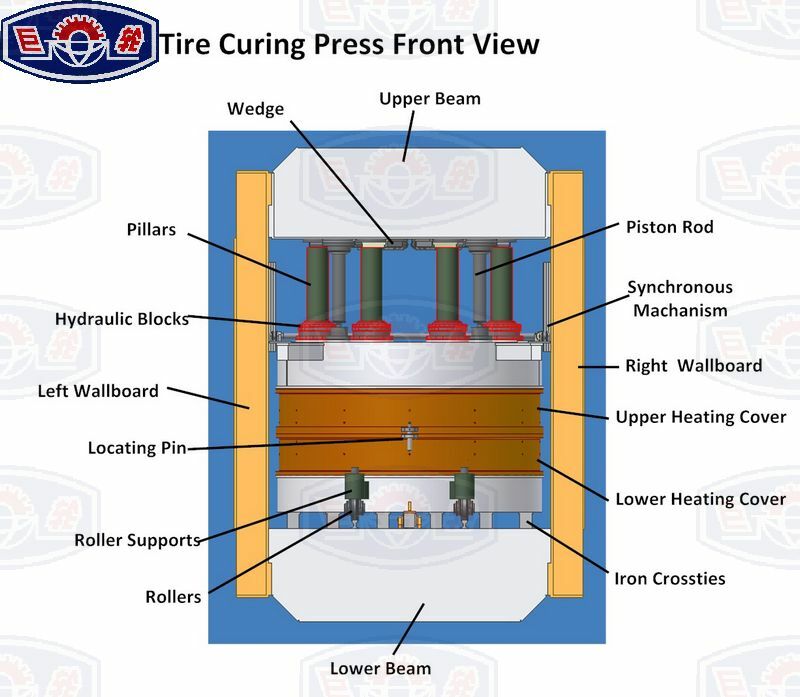 This curing press is equipped with segment molds, which makes sure the smoothness of tire inserting & extracting and guarantee the quality of cured tires. 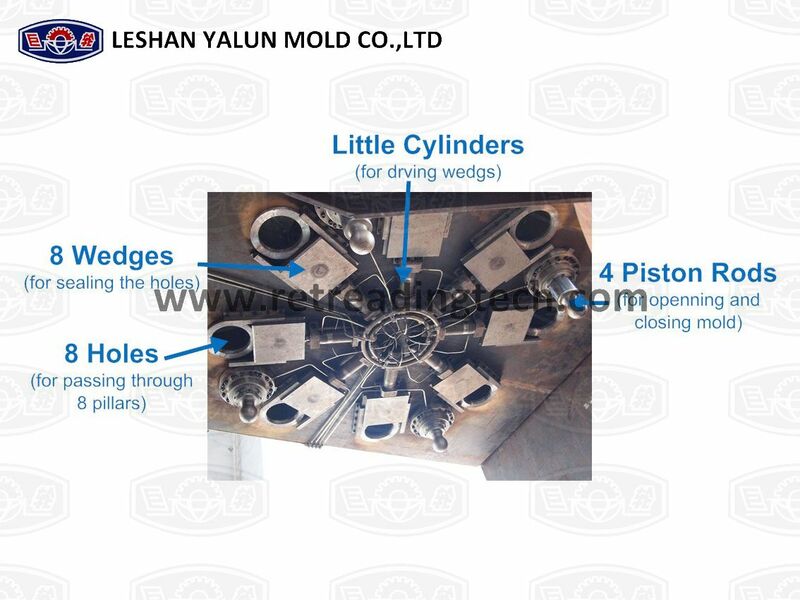 And to make sure the molds open & close smoothly, it is equipped with assistance cylinders, equal number of segments. Our giant curing press is equipped with complete hydraulic system, which can generate enough power and ensure the smooth running. The hydraulic station consists of two high-pressure pump systems (one for working, and other one for sparing) and one middle-pressure pump system. 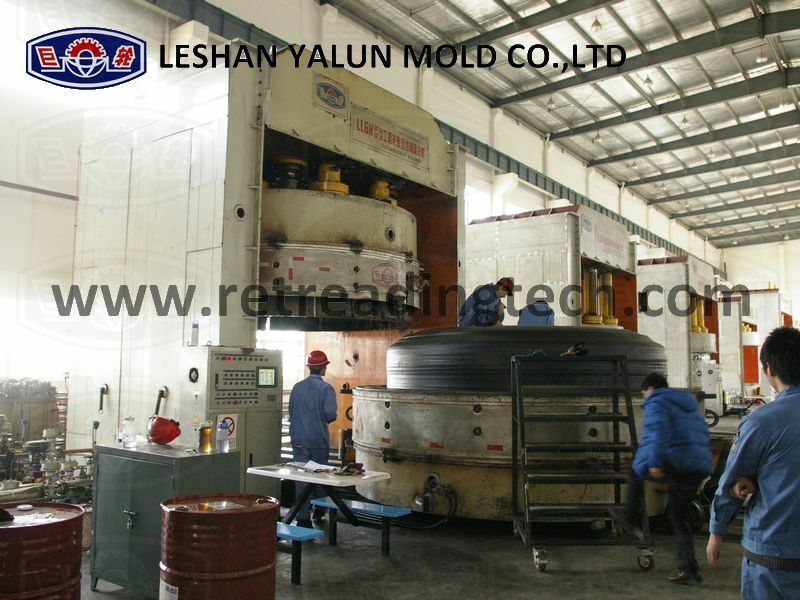 The high-pressure system is used to lock mold and ensure pressure, and the middle-pressure system is used to do some quick actions like opening & closing mold. The lower part of this press is flexible and stretchable, which is easy to load and unload tires, and safe to operate. This press is designed with synchronous mechanism for applying rack and pinion, which ensures the lower part running smoothly and speed-uniform. 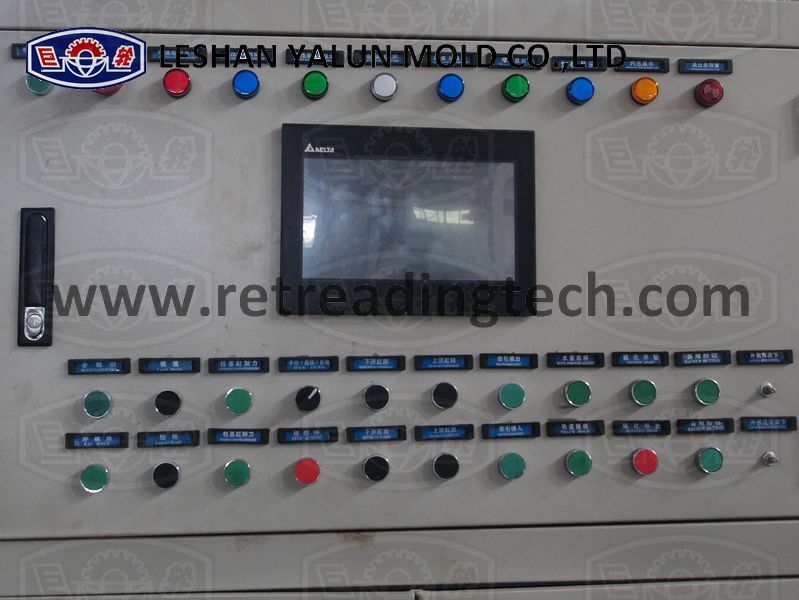 The electrical system is controlled by PLC & touch screen, which can monitor and display the working condition. Meanwhile manual system is available for spare. 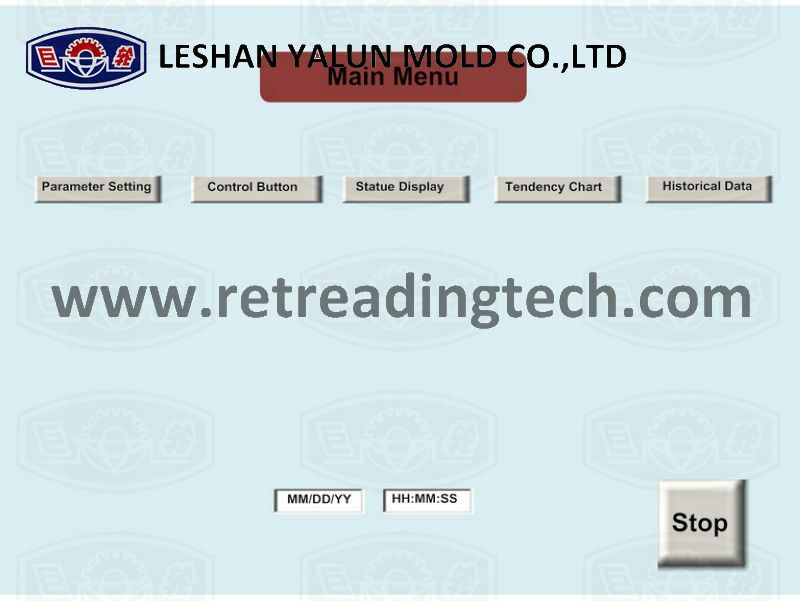 All the parameters during curing, covering temperature, pressure, time, force, can be display on the touch screen and save in removable device. a. Insert the green tire which has equipped the bladder outside, and convey into the frame.